Copenhagen’s Søren Løkke Juul, (aka: Indians), made an impact last fall with a string of dates opening for Other Lives across the US, whetting anticipation for his debut, Somewhere Else. What starts out as a laptop record unfurls into a headphone masterpiece on repeated listens. Working off a template that will be familiar to fans of Fanfarlo or Sigur Ros, it’s his control of the atmosphere, mood, and pacing that send you back for repeated listens. After the sound washes of “New,” “Bird” unfolds triumphantly, showing off the tricks in his bag, and establishes the pattern of interconnectivity in the songs. Just when you think you have it pegged, first single “Cakelakers” introduces a ringing acoustic guitar that opens further sonic horizons. Saving his best shot for last, “Take Me Down” cuts through the ethereal proceedings and ends the album with its most memorable track, bouncing back for a stunning coda that ends things on a high note. 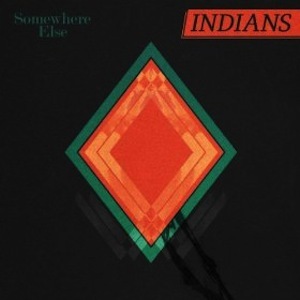 Indians is adding members for forthcoming live performances, and Somewhere Else stands as not only a fine debut, but another jewel in the crown of stalwart English label 4AD.